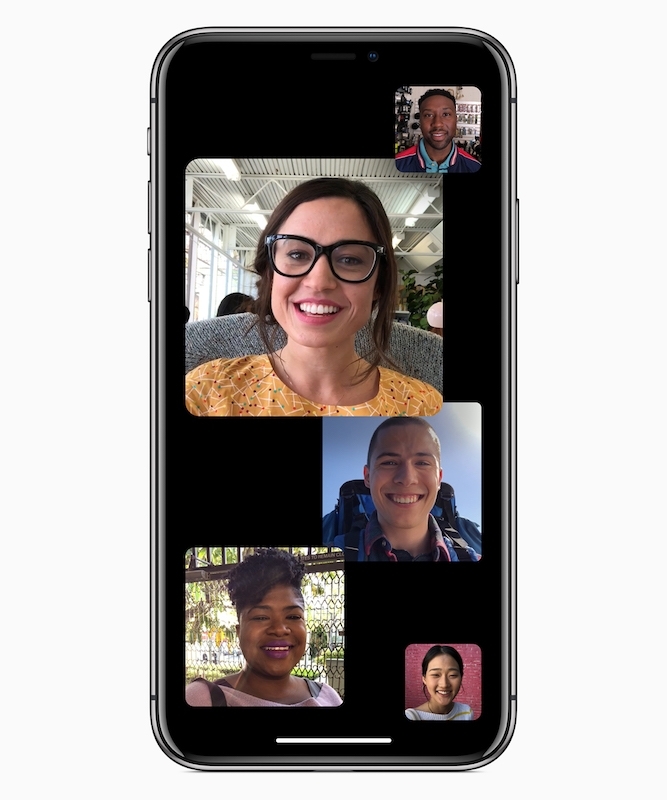 Coming later this fall, most likely in iOS 12.1 and a Mojave update which is currently in beta, Apple’s Group FaceTime feature lets you conduct a decent video or audio chat with a large number of people (32). It is easy to use the new communications feature which works across all Apple devices. Though its big limitations include lack of collaboration tools like document sharing and lack of FaceTime apps for Windows, Android or others. These missing elements make the feature an Apple-only show. As an Apple-only solution, Group FaceTime has plenty going for it. Conversations are clear, Apple has done a whole bunch of work making sure video and audio don’t lag (in the background it’s FaceTime servers are doing a great deal of real time optimisation to ensure clear, high-quality video). You can take part in a call using Mac, iPhone, or iPad. You can even use Apple Watch to join when you’re using FaceTime audio. Enter the name, email address, or phone number for each of your participants into the contact field. Click the video or audio call button. During a call you can use the onscreen controls to mute yourself or turn off your camera at any time. To add a person to a call in progress, open the sidebar and click Add Person.. just select them from the list. You can also start Group FaceTime from a group Messages thread: Just click Details, then click the video or audio call button. Click the sidebar button to see a full list of participants. You can also switch to audio only or mute your audio. I saw a demo of the feature at WWDC. It was interesting to find out how much thought Apple has put in to making the experience both accessible and stable, and it seems inevitable video calls will become a more popular communications tool in future. During a call FaceTime automatically recognizes the current speaker, so most active conversation participants appear prominently on your screen. You can also click to focus on a less active speaker — Click any participant to place them front and center within the FaceTime window. What if I am invited to a call? When you receive an invitation, you don’t need to answer it right away—you can join anytime the call is still active. You can also choose to join with video or just audio.